Reassurance shield as 17 joins 137. Less than a mile later, 17 and 137 will split. 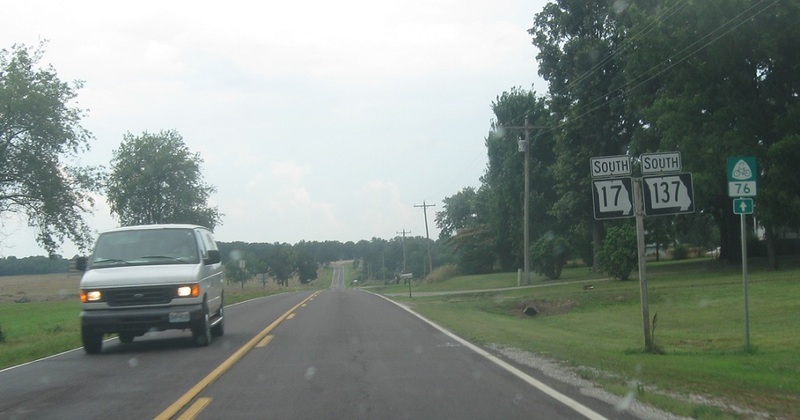 Follow 137 south to Willow Spring and Route 17 east to Summersville. This is part of U.S. Bike Route 76. 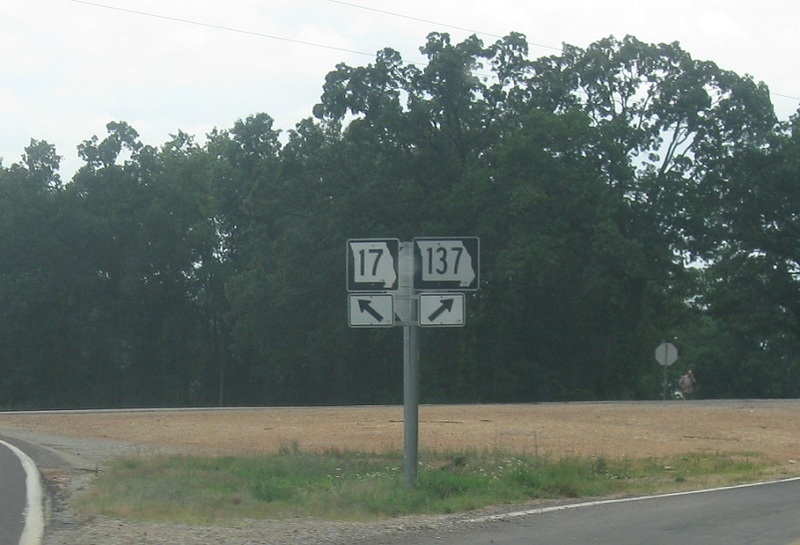 Keep right for 137 south and left for 17 east.